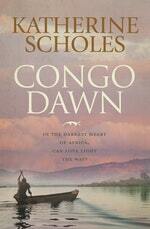 Inspired by real events, Katherine Scholes’ Congo Dawn combines epic drama with an intimate journey into the heart of a fractured family, as two characters, in search of people they lost, at last find a way to come home. It is a landmark novel about good and evil, and the inexhaustible power of love. 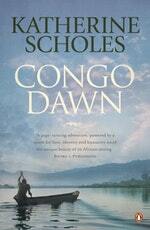 Here Scholes answers some questions about her childhood in Tanzania, writing inspiration and the call of Africa. Is it possible to give us a snapshot of what life was like as a child in Tanzania? I have wonderful memories of travelling with my family to remote areas where my ‘safari doctor’ father ran clinics from the back of his Land Rover. My mother is an artist and she used to set up her easel and paint landscapes or portraits of local people. We four kids were allowed to do anything we liked, as long as we avoided getting bitten by snakes, or eaten by crocodiles or other wild animals. We fished and hunted and swam in rivers. Between safaris we went to school near the base hospital. In many ways it was an idyllic childhood, though there were puzzling undercurrents as we witnessed poverty, disease and death as a part of daily life. When did you realise writing would be so important for you? When I was ten the family moved to England so my sister wouldn’t have to go to boarding school. We all found our new life too constrained, and the weather too cold. I felt the loss of my homeland very deeply. I was fortunate as my class teacher taught me how to write free verse. I poured out my emotions, filling an exercise book with poems. Writing became my way of relating to the world and to myself. I’ve been doing it ever since, first through diaries and short stories, and now novels. In what ways does travel inform your storytelling? Many of my novels begin with a journey. Sometimes I set off with specific research in mind; other times I just go to a place and see what captures my interest. I’ve made three journeys back to Tanzania in the last few years, each time in the company of my parents whose fluent Swahili and familiarity with the country is invaluable. I take lots of photos and make notes because I don’t know what will turn out to be useful. I focus on the landscape – colours, smells, sounds – and the small details about a place that will enable me to bring it to life for my readers. I also collect historical information and other facts that I can follow up when I get back home. What compelled you to write Congo Dawn? I was conscious that in writing my African novels I’d often drawn on the romance of the colonial era, following the tradition of films like Out of Africa and the work of Ernest Hemingway. I am partly a product of that world myself, since I was born in colonial Tanganyika. Yet I hadn’t really looked hard in the face of the dark side of that history. I felt it was time to address this. And the Congo, with its uniquely dark story – tied to the curse of its great wealth – was the right setting for such an exploration. How do you tackle the challenges associated with recreating exotic locations on the page from your home in Tasmania? 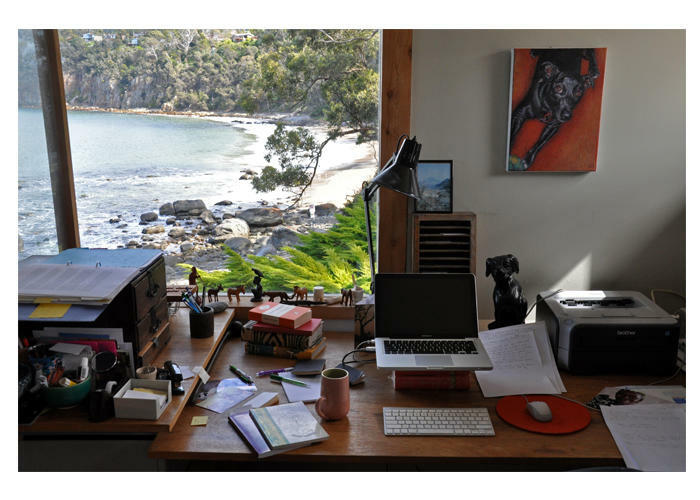 I write at a desk that looks directly over a beach, towards a line of sea cliffs. I can hear the waves lapping the rocks. The whole world around me is made of sky, rock, sand and water. Sense of place is key to my writing, yet often the scenes I’m evoking are set in the savannah, or dense jungle, or on vast volcanic plains – the exact opposite of what surrounds me here. Strangely, it seems to work. It’s as if I can feed off a powerful presence of a natural environment, and it doesn’t matter which one it is – just as I can feel at home in Tanzania as well as Tasmania. What keeps calling you back to Africa? Everyone I’ve met who has set foot in Africa has been captured by the place. It seems to have an almost inexplicable power. I’ve heard it suggested that since all humans originated in that continent we feel a sense of homecoming when we go there. For me, the feelings are even more potent because I was born in Tanzania, and then taken away. I find the culture and history as endlessly fascinating as the landscape. It’s like a love affair that never wanes.